Apprentice of the Year and Best Use of Technology debut as brand new categories in this year’s free to enter Nectar Business Small Business Awards and will be judged by industry leaders including BBC ‘Dragon’, businesswoman and consumer champion, Sarah Willingham. Nectar Business has been supporting small businesses for over a decade and is once again on the hunt to find the UK’s most outstanding small businesses and celebrate their achievements through the annual Nectar Business Small Business Awards. Winners from each of the Award’s eight categories will receive £2,000 cash, 50,000 Nectar points and will secure a once in a lifetime place at the Awards roundtable event. Here, they will meet the judging panel, discuss key industry topics and receive tailored advice and insight to help drive their businesses forward. Willingham will be judging the 2016 Awards with Adam Collett, Marketing Director, Independent, at Brakes; Melissa Snover Burton, previous Nectar Business Small Business Awards winner and Managing Director of Katjes Fassin; Richard Carvell, Director Digital & Direct Marketing at Viking; Shannon Diett, VP Marketing at DHL and Awards host, Will Shuckburgh, Managing Director of Nectar. Social media will play a vital role in helping determine the winner of the Contribution to the Community Award; with public votes acting as the seventh judge. Facebook fans of the Nectar Business page (facebook.com/nectarbusiness) will be able to watch video case studies of the shortlisted companies and have their say on who they feel should win. Sarah Willingham comments: “It’s so important to support and champion British small businesses and recognise the drive, commitment and sheer hard work that goes into making them a success. 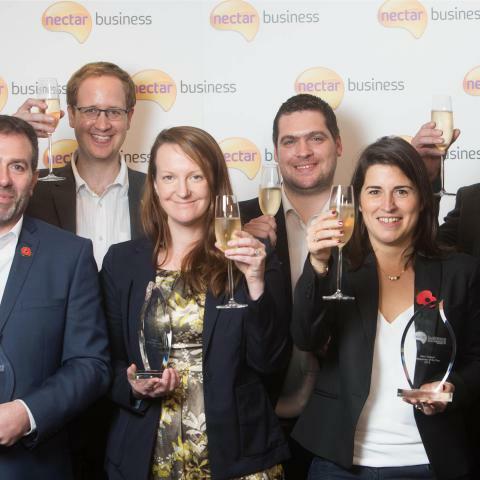 The Nectar Business Small Business Awards are free to enter and all UK SMEs, social enterprises, charities and entrepreneurs that demonstrate innovative and sustainable businesses are encouraged to visit www.nectarbizhub.com to download an entry form. Completed forms can be returned by email or post between 24 May and 10 July 2016. Sarah WillinghamSarah Willingham is a BBC Dragon and successful serial entrepreneur, known for turning the Bombay Bicycle Club into the largest chain of Indian restaurants in the UK; a founding director and investor in the London Cocktail Club and the best known female money saving expert and consumer champion in the UK. Will ShuckburghWill is Managing Director of Nectar. He took on the role in 2013, having previously held the position of Managing Director of European Commercial Development at Nectar’s parent company, Aimia.